With the release of the iPhone 8 and X, it’s time to lock in trade-in value on your current phone. Trade-in with Gazelle and you’ll get paid in cash and your price will be locked in for 30 days. This offer is ongoing, but the longer you wait to lock in a price the less value your current phone will have. Locking in your phone’s value today with Gazelle gives you time to decide on your next phone without worrying about your current phone’s value plummeting (which happens as the next generation of phones hits the market). Simply go to Gazelle and submit your current phone model and its condition. 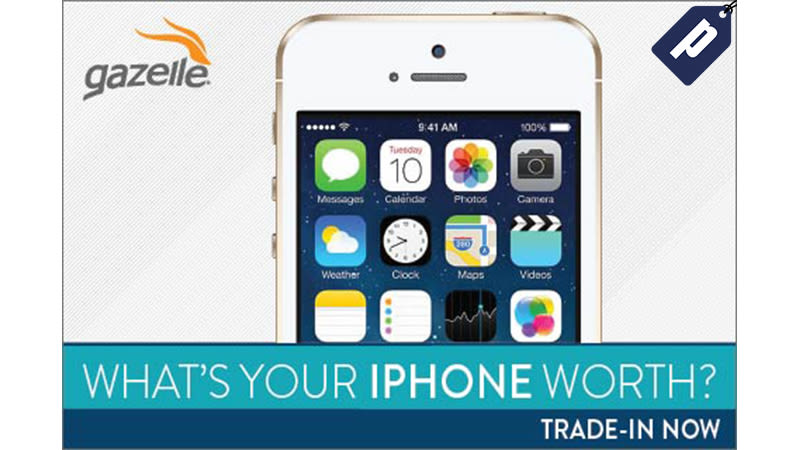 Gazelle will lock in your trade-in value, after which you have 30 days to send in your phone to receive that amount. They’ll send you shipping materials, and once you send in your old device, you’ll receive your check. Put your cash towards a new phone or whatever else you might want. More information about Gazelle can be found here.